If you're a regular reader of the Daily Mail then you can’t be blamed for thinking the refugees trying to get into Europe are nothing more than marauders threatening European civilisation. 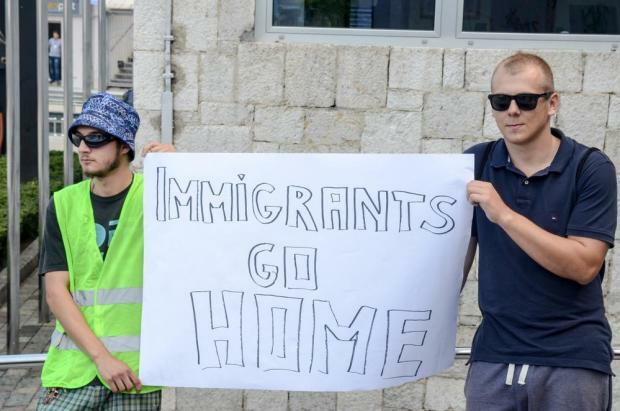 While the constant scapegoating of migrants from the Nigel Farages and Marine Le Pens of this world stand in the way of a nuanced debate, I do acknowledge that the flow of migrants into Europe is morphing into a problem. But unless we have a magic wand to eradicate wars and ensure poverty is destined to the ash-heap of history, then we all have to accept the fact migration is here to stay and no barbed wire or wall currently being erected in Europe is going to stop people from fleeing. So the least we could do is to try to debunk 10 myths. Many do, but the majority don’t, or cannot. Just to put things into perspective, Lebanon, a small country with some 4.5 million inhabitants, now has 1.2 million Syrian refugees. Turkey and Jordan - poorer countries in comparison to the EU - are taking the lion’s share of asylum seekers. Thanks to wars, political unrest, and demented beasts like the so-called Islamic State, we are facing the biggest refugee crisis since the Second World War. According to the UN, more than 70 per cent of migrants arriving in Europe in the last year were from Syria, Eritrea, Iraq, Darfur and some parts of Nigeria – all nationals entitled to some form of protection. The numbers of refugees might be big but in reality it constitutes less than one per cent of Europe’s population. Europe is rather wealthy and can handle such an influx, despite the challenging flow. Despite the obvious logistical and potential social problems, the least European leaders can do is put solidarity ahead of populism. Utterly false. Putting up walls and fences will merely push migrants to opt for riskier routes. Just to give you an example: five-metre high fencing, topped with razor wire, now protects the entrance to the ferry port at Calais in France. The migrants’ focus has swapped to the tunnel in recent weeks. The medium to long-term solution is to give migrants safe access to asylum in transit countries – provided they are entitled to some form of protection. False. More than 80 per cent of the 59 million refugees worldwide stay in their geographic region of origin. Why? Because the majority often hope for a quick return home. Studies show the vast majority will return to their base to pick up the pieces, to reunite with their families, to get on with their lives…. once the weapons are dropped and once there’s a semblance of hope. EU states are signatories to the UN refugee convention, which means they should host politically persecuted persons. This also applies to people who are severely marginalised in their home country for their political beliefs, to the point that their human dignity is violated. The EU has every right to deport illegal migrants. 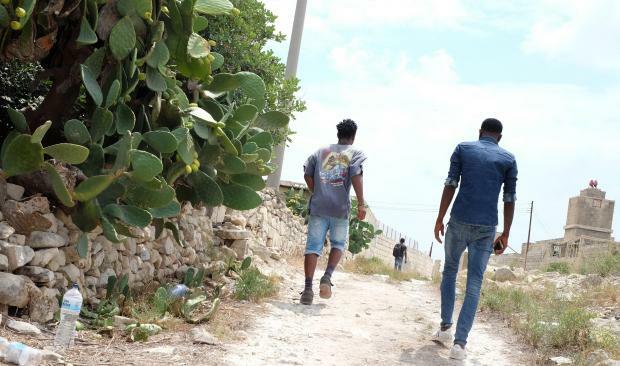 The vast majority of migrants who have landed in Malta in the last 10 years were entitled to some form of protection. Yes… the same way you come across dangerous natives in London, Berlin or Paceville. Of course there will always be bad apples, of course you need to have rigorous checks, but statistics show the vast majority of refugees are simply looking for a means to eat and work. False. When Italy stopped its rescue Mare Nostrum mission it led to the most horrific tragedies around our seas. The Somali-British poet Warsan Shire once wrote in relation to refugees, “that no one puts their children in a boat unless the water is safer than the land”. A number in eastern and central European countries have heightened anti-Muslim rhetoric in recent weeks by saying they would only accept Christians. Just switch on your TV or browse online news websites and you will realise persecution and extreme poverty doesn’t afflict only Christians. European law also specifically prohibits discrimination based on religious background.